It was kismet. First, our favorite local bartender gives us a copper mug. 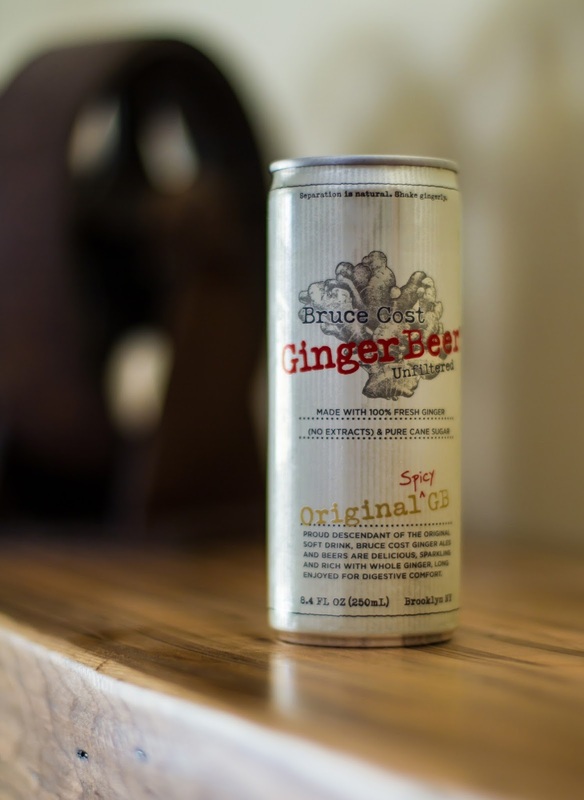 Then, in this month's Degustabox we get two cans of Bruce Cost Ginger Beer. You know where I'm going with this right? Yeah, how could we not make a Moscow Mule? Fate was seeming to demand it. The classic Moscow Mule is so easy to make - lime juice, vodka, ginger beer on ice. Ideally, it should be served in a copper mug. The copper mug allows for the best temperature and taste. It keeps the drink colder, longer. Cold copper reportedly increases the fizziness of the ginger beer and also heightens the citrus taste of the lime juice. Some experts say that the copper beings to oxidize when the vodka hits it, thereby enhancing the aroma and the taste. Plus, it looks cool. Bruce Cost Ginger Beer tends to be a bit more spicy and dry than regular ginger ale. For those reasons, I think it makes the perfect cocktail mixer. 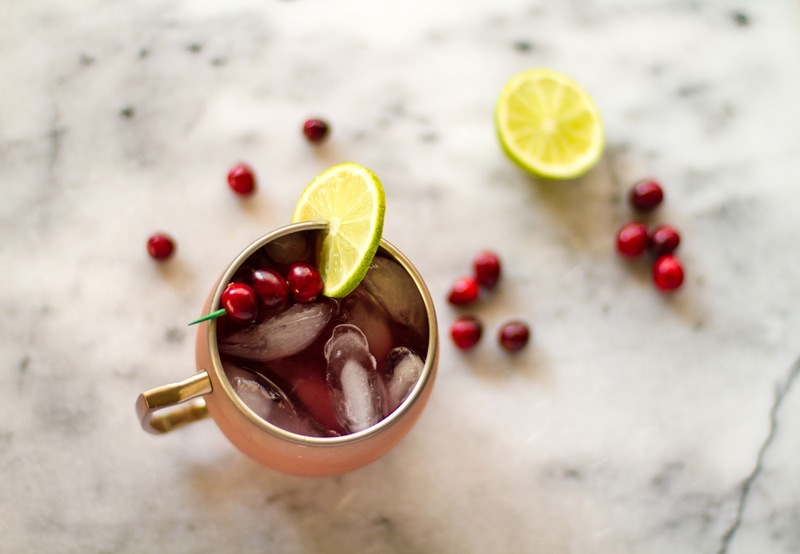 With the holidays fast approaching, I decided to give the traditional Moscow Mule a bit of a festive twist by adding cranberry juice. It's not exactly an original idea, but it's definitely a tasty beverage. Unlike most recipes I saw out there, I used unsweetened cranberry juice as opposed to cranberry juice cocktail or sweetened juice. I wanted to add the hearty cranberry color and flavor without the sugar. If the thought of unsweetened cranberry juice makes you pucker, don't worry because the ginger beer gives the drink just enough sweetness to balance everything out. 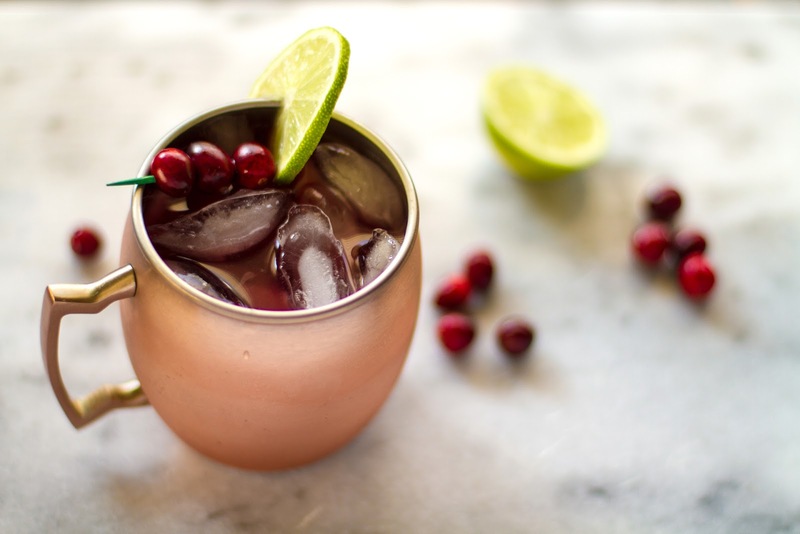 Fill a copper mug with ice. Pour in the lime juice, vodka and cranberry juice. Top with ginger beer. Stir. Garnish with the lime wedge and fresh cranberries. Serve immediately.